Desperate for something to drink. All barely able to think. Thus, leaving the wildlife uncared. Causing all kind thoughts to fly. Thought that they’d give that a try. The town people sad at their plight. Returned with man less to be feared. 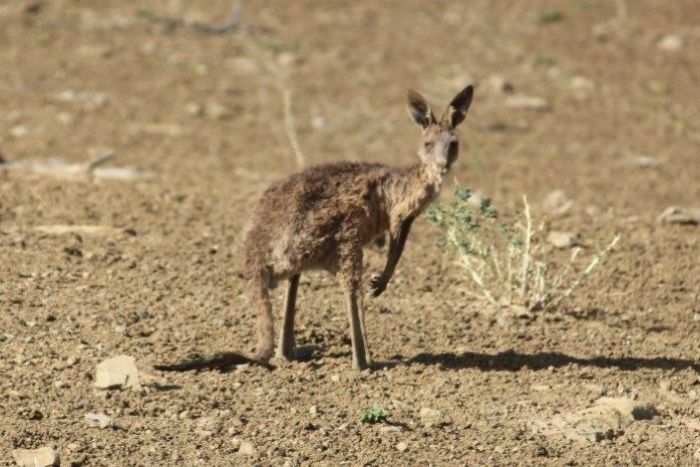 Yes the recent drought decimated wildlife but now they have to deal with floods in semi desert areas. Unusual weather patterns these days. This is a poignant poem with a message – I assume that it is true!. About a week ago our little man-made artificial stream in our back garden was visited by a several-hundred-strong flock of robins. We watched them take turns in bathing in the water. They were very civilized in their queueing. Today we had a different vaster in the form of a huge blue heron, he had to leave hungry as he took all the fish last fall. That would have been a wonderful sight to see Jane. Because we live in a retirement resort village we only have a limited back yard but have arranged it nicely and have a bird bath placed so we can see the birds drinking and bathing. Birds of different types come there. within the types they are civilized and wait their turn. But when the types clash over the bird bath it is a war for possession. 🙂 Yes the poem tries to report just what happens when there has been drought for several years in the western semi-desert. All animals suffer or die under those conditions. Easier to be generous when there is plenty. Scarcity brings forth one’s hidden nature. That is lovely to have people share with the wildlife, dispel fear and build friendships. Thanks Eric. Yes diminishing resources tests our attitude to both fellow humans and wildlife doesn’t it?